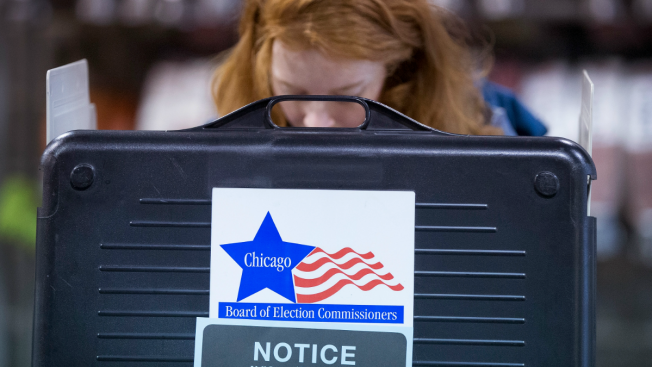 In addition to voting for their candidates of choice, Chicago voters will have a chance to weigh in on four referendum questions using their primary election ballots on March 20. All four questions are solely advisory, meaning no action will automatically be taken, regardless of response. While the results not legally binding, they will provide lawmakers with key insight into the next steps in each of the areas polled. Should Governor Rauner act to protect the 650,000 Illinois residents who obtained health insurance through the Affordable Care Act by supporting legislation amending the Illinois Insurance Code to preserve important benefits like pediatric services and maternity care, and by investing in outreach campaigns to encourage residents to sign up for health insurance? Should Governor Rauner support Illinois legislation to ban firearm bump stocks and strengthen penalties on illegal gun traffickers? Should the State of Illinois develop a comprehensive strategy to address the recent rise in opioid-related and heroin-related deaths including committing additional state resources for addiction treatment and requiring health insurers to cover opioid alternatives and limitations on prescription length? Should the state repeal the ban on rent control? To see the full list of precincts that will ask this of voters, plus more information on what will be on your ballot, you can head to the Chicago Board of Election Commissioners' website. If you live in Chicago's suburban counties, you can find the referendum questions on your ballot here.